This Midas BTR 1-6×24 is equipped with ATSR1 reticle that is specifically designed for 3 gun competition (68 grain Hornady and 69 grain Sierra cartridge) and any Nato 5.56/.223 caliber rifle with hold over points for both bullet drop and wind. This Midas BTR 1-6×24 is equipped with ATSR1 reticle that is specifically designed for 3 gun competition (68 grain Hornady and 69 grain Sierra cartridge) and any Nato 5.56/.223 caliber rifle with hold over points for both bullet drop and wind. The 1 moa center red dot is perfect for zeroing your rifle at 200 yard. 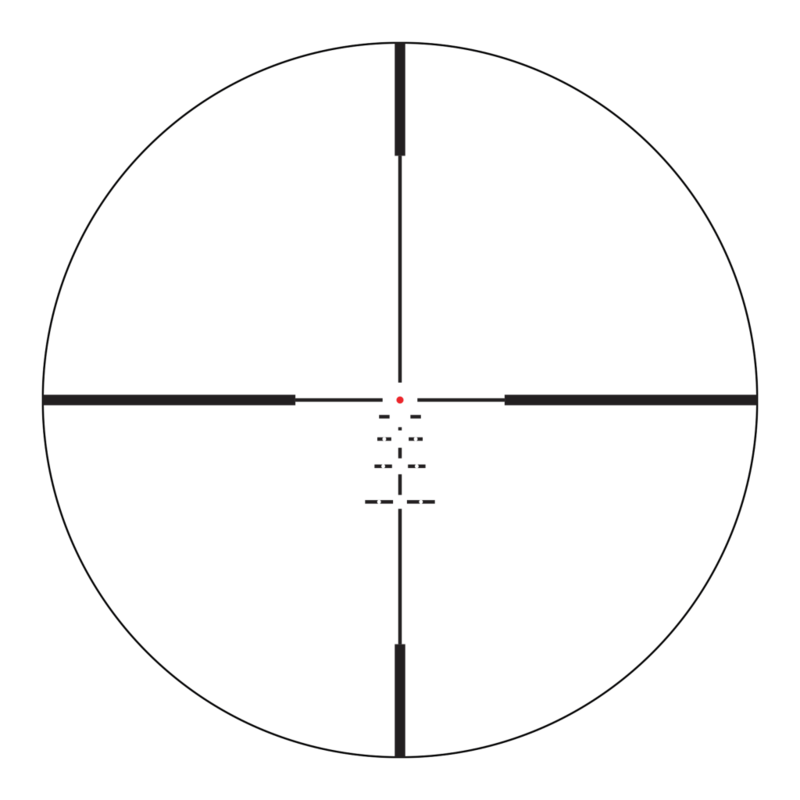 You can use the open centers below the center red dot for targets at 300, 400, 500, and 600 yard. The unique design of open centers does not block any 12~18 inch targets beyond 200 yards and allows a shooter to take a quick shot once a target fills up the gap in the middle. HD Glass HD Glass gives you better light transmission, brighter, and sharper image. XPL Coating XPL Coating gives you an extra protection on the exterior lenses from dirt, oil and scratches or anything else mother nature can throw at you.